Curses: The one area of the Magickal Arts that is usually spoken of only in hushed whispers, or - more often - not at all. It's a fact of life, though, that we all find ourselves attacked, either physically, psychologically or spiritually, at various points throughout our daily lives. Who hasn't been hurt, offended or bullied at some point, and wished that they could make their attacker stop, or even gain revenge? Finally, it's time to strike back and, with this book, you now have the means and power at your disposal to do just that! Within these pages, you will find a massive selection (most likely the largest ever published) of easy to use rites and rituals, to Magickally strike back at your enemy WITH DEVASTATING POWER AND ACCURACY. Jilted or cheated upon? Vent your rage and pain upon your Ex, and watch as their life crumbles to dust! Bullied at work, or - worse still - in your own home? Unleash a fury of pure, Black Magickal wrath upon your tormentor, that will leave them POWERLESS TO EVER HARM YOU AGAIN! 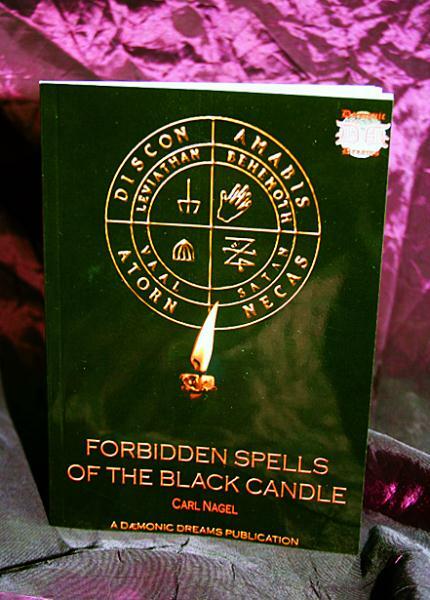 With a skilful, easy-to-follow series of Curses, Hexes and Black Rites of Destruction, Master Occultist Carl Nagel will teach you all you need to know, in order to wield the Darkest of Black Magickal Powers against every enemy you have. Due to its content, this book is NOT SUITABLE for minors, or those of a nervous disposition. If uncertain, please DO NOT purchase.